Soaking Hay & Steaming Hay for Horses: What are the Benefits? 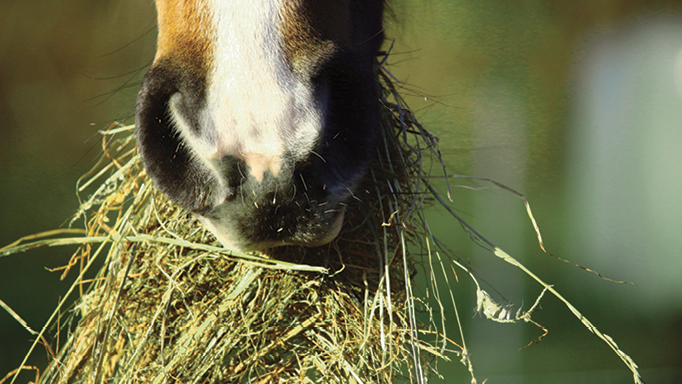 Hay can be an excellent source of nutrition for most horses, and should be the major focus of every horse’s diet. However, some horses may have problems eating traditional, long-stem, dry hay. Dry hay can be very dusty, which may trigger respiratory problems in horses, particularly those with equine asthma aka chronic obstructive pulmonary disease (heaves). Any mould present in hay can also be troublesome for those horses. Dry hay can also be very stemmy, which might be difficult for older horses with little length left in their molars to grind it down. Hay that is high in sugars is unsuitable for horses that are sensitive to sugar and/or are laminitic. Horses with hyperkalemic periodic paralysis (HYPP) need to consume a diet low in potassium (K), which tends to be high in most hay types. In many of these cases, moistening before feeding by soaking hay or steaming it can make it more manageable for these horses. Soaking hay can be done in one of two ways. It can simply be wetted by spraying it with a hose prior to consumption. 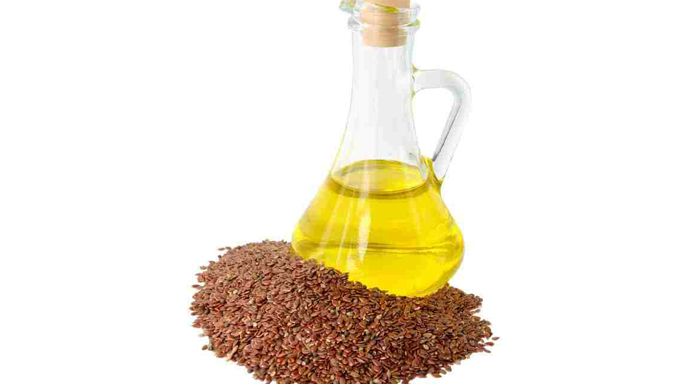 This method can be effective in removing many dust particles from the hay. Real “soaking” involves allowing the hay to sit in water for a length of time. Research has shown that significant dust particles are reduced by soaking hay in warm water for 30 min, or in cold water for 60 minutes. Similarly, soaking hay is sufficient to significantly reduce (by about 15-20%) the non-structural carbohydrates (sugars) for horses that may be sensitive to sugar. 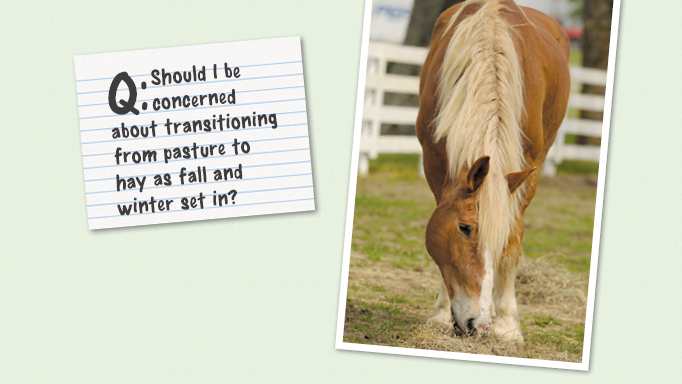 However, if a hay is 20% NSC to begin with, then even after soaking the NSC values will still be too high for at-risk horses, and a different type of hay should be selected. Soaking hay can also remove potassium from the hay, making it more suitable for horses with HYPP. It is not recommended to soak hay longer than the 30-60 minutes described above. If left to sit out too long, mould and/or bacteria may start to grow, and other nutrients such as phosphorus and magnesium may be leached out. Furthermore, with longer soaking, the dry matter of the hay is actually decreased in mass, and you’ll have less hay available to feed! Steaming hay is another method to decrease dust, mould (by killing it with heat), and non-structural carbohydrates. One benefit of steaming hay is that there is less loss of other minerals including magnesium, calcium, and phosphorus. Of course, the greater benefit involves not having to deal with buckets of wet hay, particularly in the winter. Most healthy horses do not need their hay soaked due to the risk of leaching out important nutrients in the process. 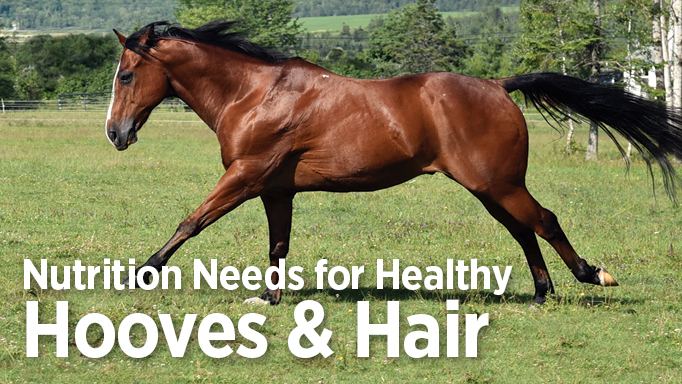 Owners of horses that do should have their hay tested for the compound causing concern (dust, potassium, sugar, etc. ), before and after soaking or steaming. 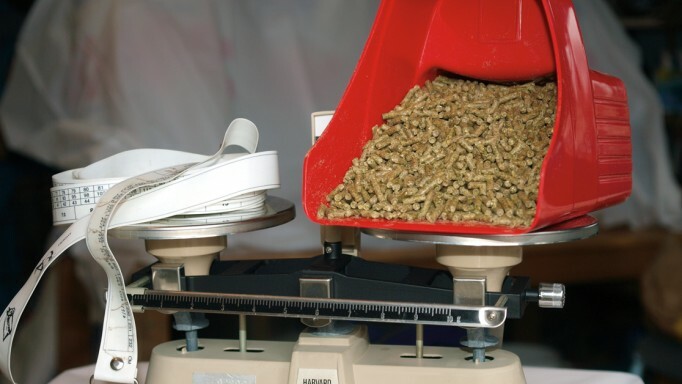 It is possible that while these practices will reduce irritating or harmful compounds in an effective manner, in some cases simply selecting a different type of hay, or looking at forage alternatives, may be the better, less expensive option.